Soar is the result of a one-month collaboration with my ten-year-old daughter, Lucia. During our stay in Berlin, we worked on collaborative drawings, videos and developed this installation through discussion and play. 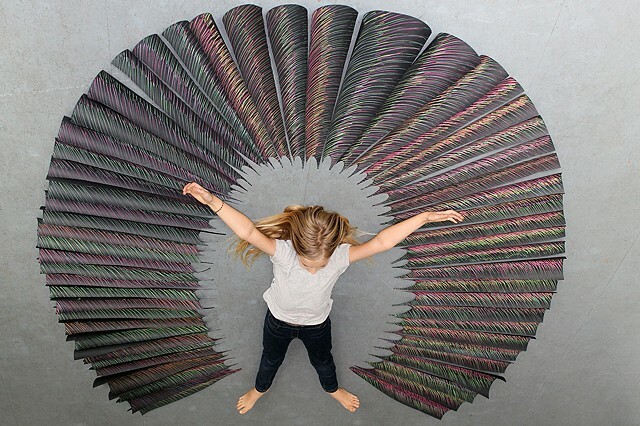 Composed of paper cuts with pastel marks, the work fans around her body. With Soar, I strive to integrate my art practice with my role as a mother.